At Clear Orthodontics, braces are what we specialise in and we have a range for our patients to choose from. 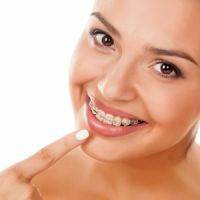 At your free consultation we’ll be able to advise you on the best type of braces for you, but here’s an overview of the different ones we provide. Tried and true, traditional metal braces are the original type of braces. 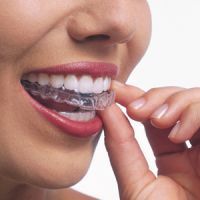 Made up of small metal brackets which are attached to the front surface of your teeth, thin archwires which connect these brackets and small elastic bands (ligatures) to apply pressure, traditional metal braces are known for straightening teeth. 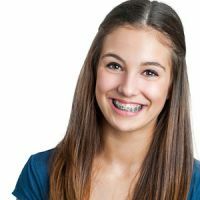 They’re not the quickest type of braces on the market, nor are they the most discreet, but they are effective and over the years developments in technology have meant these braces are now smaller and more comfortable to wear. Based on traditional metal braces, clear braces straighten teeth using the same system of brackets, archwires and ligatures but the difference is the brackets are clear so people can’t see them. Clear braces use ceramic brackets which match the colour of your teeth so are an extremely popular option, particularly among our adult patients. 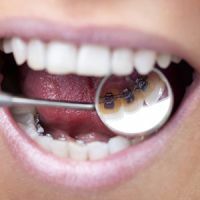 They’re slightly more expensive than traditional metal braces, but provide a great solution to patients who need the technology of traditional braces but don’t want to have a mouth full of metal. The ultimate in discreet orthodontic treatment, lingual braces are virtually invisible. Once you’re fitted with a set of lingual braces, we guarantee very few people will even be able to tell you’re wearing braces. This is because the brackets are fitted to the back surface of your teeth, next to your tongue. (Lingual means tongue side in case you’re wondering!) Lingual braces use the same components as traditional metal braces do but the difference is where they are positioned. Not only does this make them virtually invisible, but the system is proven to straighten your teeth and achieve great results. Invisible braces, also known as Invisalign, aren’t really braces at all. 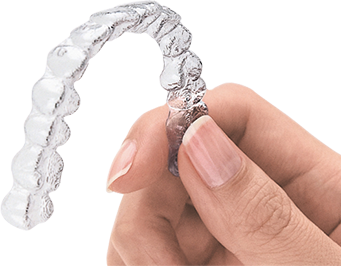 Instead, Invisalign uses a series of clear plastic aligners to move your teeth into position. These aligners look like thin sports mouthguards and are custom-made to sit over your top and bottom teeth. They’re removable so you can take them out to eat, brush and floss and they achieve results faster than traditional braces do. We have Blue Diamond Invisalign provider status in recognition of our experience using these virtually invisible aligners. You can find out more about this popular treatment option in our Invisalign section. For children who need orthodontic treatment, we offer Phase One treatment which can prepare a child’s teeth and jaws for treatment later. The Australian Society of Orthodontists recommends children have a consultation with an orthodontist around the age of seven. At this age, we can evaluate the growth pattern of your child’s teeth and jaws and prepare for any orthodontic treatment they may need later. 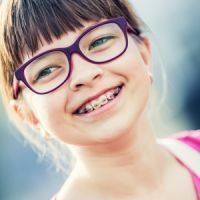 Although orthodontic treatment doesn’t usually start at this early age, we may recommend Phase One treatment which helps to widen the jaw to create room for teeth to grow. This in turn can reduce the amount of orthodontic work your child might need in the future. This is just one of the benefits of early orthodontic treatment. Bringing your child in for a consultation with us can also help debunk the myth that the dentist’s chair is a scary place to be. We’re a friendly bunch here at Clear Orthodontics and will make your child feel as welcome and comfortable as possible. Book your free consultation with the team at Clear Orthodontics today to find out which type of braces you could benefit from. We believe you’ll find a clear answer!